Few things can turn a day out hiking from great to grim quite like a pair of ill-fitting or ill-suited hiking boots. These days, however, finding the best hiking boots for men if far from simple. When buying your first pair of boots, it’s all too easy to choose whatever looks good, is on sale or has hit the shelves. Given the vast number of hiking boots available, this approach is excusable. It is also, however, a sure-fire way to kick-start an expensive process of trial an error before you get your hands on the right pair of boots for you. In this article, we will help you avoid the above pitfalls. 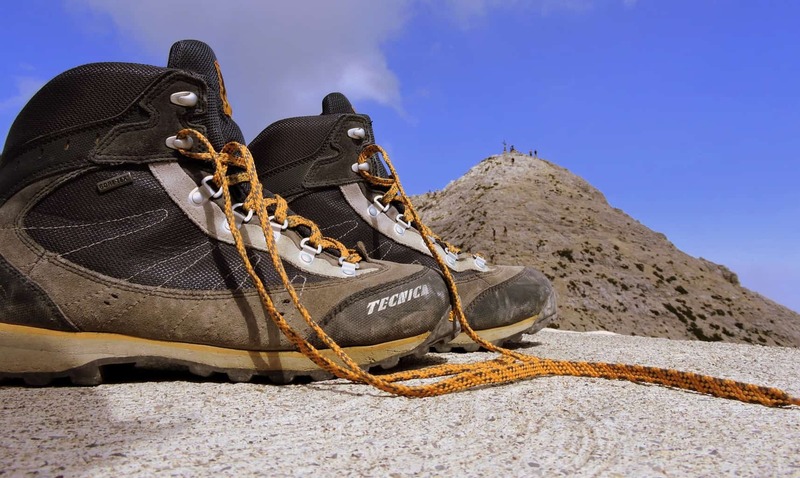 We provide the lowdown on what to look for in a pair of hiking boots and our review of the best hiking boots for men of 2019 out there. 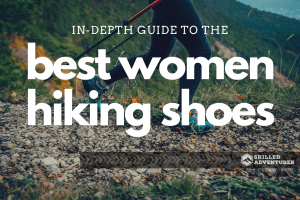 Looking for the best hiking boots for women and vegan hiking boots. Let’s start with that lowdown! 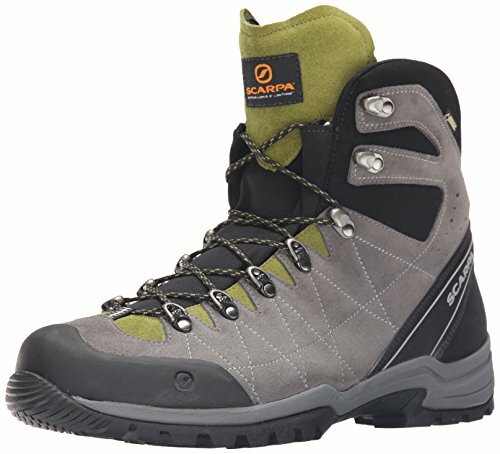 Conclusion: What are the best men's hiking boots for your needs? A hiking boot that scores low on the comfort scale is like a car without any seats. It might look the part on the surface, but you’re unlikely to get far in it without a great deal of unnecessary aches and pains. 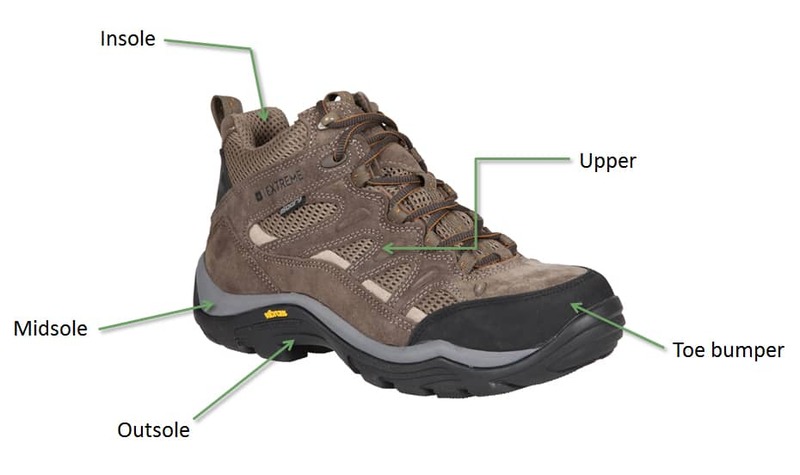 Several features contribute to hiking boots comfort levels, most notably, midsole, weight, stiffness and breathability. Strain, stress and moderate trauma are all potential hazards that may affect yiour feet while out hiking. Particularly if we are carrying a heavy load. A boot’s outsole and midsole are the buffers that take all those blows for us. They absorb the brunt of the impact so our feet don’t have to. Midsoles vary in size and shock-absorbing capacity. While ultra-light boots tend to skimp on girth, heavier boots often feature generous wedges that offer plenty of protection. But also increases the boot’s weight. The ideal scenario for the average hiker is a happy-medium. Your best bet is to try the boots on and feel for yourself what level of protection and buffering they provide. Most models will have either an EVA or polyurethane (PU) midsole. EVA midsoles are usually featured on lightweight models and range from very thin to almost cushion-like. Most manufacturers omit to mention the depth of their midsole. So it’s best to read user reviews to get a more accurate idea of what the boot offers. On the whole, polyurethane midsoles are a tougher option. These are usually found on technical hiking or mountaineering boots designed for rocky terrain. The only drawback to PU is that it tends to make a boot stiffer than EVA models. Good for hiking on steep or snow-covered terrain, but an overkill for flatter terrain or for carrying heavy loads. 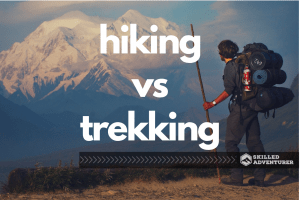 Which option is best for you will depend on the type of hiking you’re planning on doing. The weight of your hiking boots can have a bearing on many factors. On the ‘pro’ side, heavier boots tend to offer more in the way of support, stability and durability than lightweight models. On the ‘con’ side, heavier boots are also likely to be more cumbersome, bulky and lead to leg fatigue faster. For those who like to move quickly and aren’t carrying a heavy pack, most lightweight hiking boots will serve your purposes . But if you’re a backpacker who often heads into rough terrain, the extra support and durability provided by a heavier boot will be greatly appreciated when out on the trail. For most of us, the ideal hiking boot is one that offers a good balance between weight and performance. As with any outdoor gear, there are sure to be compromises. Your decision will come down to your personal preferences and the type of trails you intend on hiking on. A boot’s stiffness determines the type of terrain for which it’s most suitable. Stiffer boots are ideal for steeper terrain. The heel of the boot does not drop so much when you step forward and place your toe on the ground. Thus reducing the loss of power in your steps. For the average hiker, this can come in handy and reduce calf fatigue on summit pushes and steeper ascents. On the downside, it might be overkill if you are sticking to well-maintained and inclined trails. For the thru-hiker or backpacker a stiff sole is usually not advisable. As the terrain covered is generally less technical and the gradients less acute. A boot’s level of breathability will result in a trade-off with another feature – this time waterproofing. Usually, the better a boot is at keeping water out, the less able it is to shed moisture from the inside (i.e. sweat). Leather and nubuck boots with Gore-Tex linings are poorer performers in this respect. Boots with mesh inserts or synthetic uppers, on the other hand, breathe well and are a better bet for summer months or hiking in warm climates. Which boot is right for you will depend to a large degree on where you are in the world. And whether you are a fair weather hiker or one who heads to the hills in all conditions, come rain or sunshine. Even if you are a fair-weather hiker, some degree of water-resistance in your boots is advisable. Whether you’re stomping through dewy grass, stepping in puddles or crossing shallow streams. The average day hiking will present plenty of opportunities for you to give your feet a good soaking. 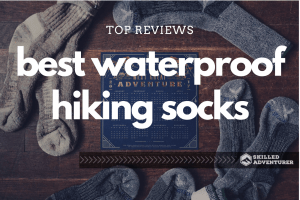 Most hiking boots provide some level of waterproofing. This usually comes in the form of a Gore-Tex or similar style lining (Keen.Dry or Vasque UltraDry, for example); and/or a water-repellent coating which bead ups and sheds water on the exterior. Again, where you do your hiking and the conditions you usually do it in will determine the best choice for you. If you tend to save your hiking for sunny days, a boot without a waterproof lining may well suffice. But if you’re an all-weather warrior who hits the trial come what may weather-wise, we’d recommend a combo of both a waterproof lining and a water-resistant finish. This often overlooked feature of a hiking boot’s construction is fundamental to a boot’s performance. Different brands use different types of rubber and different treads, all of which offer varying levels of performance. Deeper and more ‘aggressive’ tread patterns offer more stability, traction and grip on muddy and wet terrain. But also tend to increase the weight of the boot. More subtle treads are great for those who like to move fast, but won’t provide so much confidence on steep, muddy or wet ground. 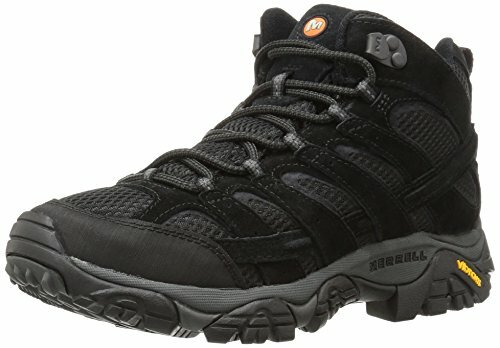 For peak-baggers, wet-weather hikers and backpackers, we recommend a deep, aggressive tread to aid balance and traction. For everyone else, a more shallow tread will likely do the job. The type of rubber used in an outsole determines its stickiness and grip on rock. There are many varieties of outsole on the market, but the two top performers over the years have been Vibram and Salomon’s ContaGrip. Both of which are great options and adhere to even wet and slippery rock. 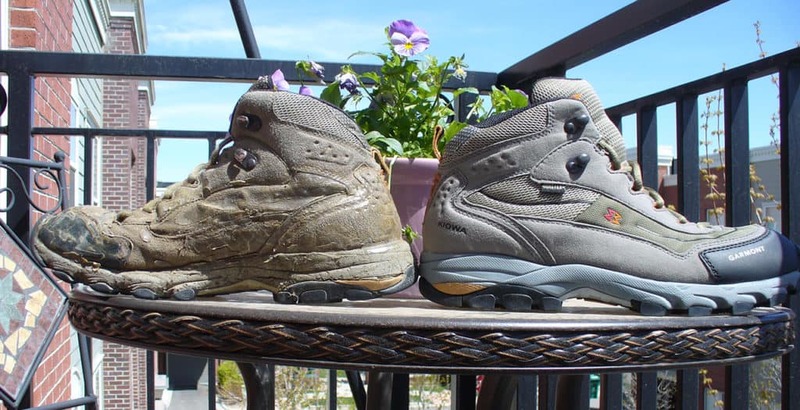 Like most items of outdoor gear, hiking boots are subject to wear and tear. That doesn’t mean that durability is something we should overlook. Usually, a boot that uses heavier, more robust materials such as leather, suede or nubuck will stand the test of time better than ultralight models made with synthetic fabrics and lightweight mesh. Again, a trade-off is often necessary between durability, weight, breathability and value for money. While a heavyweight boot may last you a long time, it may also cost a small fortune and feel as if made of lead rather than leather after a few hours on the move. Conversely, an ultralight model of boot may feel like a Ferrari for your feet over the first few outings, but the compromises made to achieve this low weight may well lead to durability issues shortly down the line. For an overview of how to choose a hiking boot, check out this useful video from Rei.com. Now we know what we’re looking for, let’s get down to our review of the 5 best hiking boots for men on the market right now. Nimble, lightweight hiking boot with great water resistance ability. Over the years, the Salomon Quest 4D 2 GTX has won the hearts and plaudits of many hikers, and with good reason. These boots have long been synonymous with comfort and performance and the 4D 2 GTX continues this tradition in style. From the cushioned collar to the breathable nylon mesh panels in the upper and the springy polyurethane midsole. This boot is all about maximizing comfort without compromising on agility. It also offers great stability whilst maintaining a very nimble, lightweight feel. With its ContaGrip sole with a very aggressive tread. The 4D 2 GTX outperforms most of its mid-weight competitors in terms of water resistance. Its Gore-Tex membrane, in combination with nylon panels on the upper section, provides great breathability. The downsides to this boot are few and far between. If we’re nitpicking, we would suggest these are not the best option for backpackers carrying heavier loads. Although the ankle support and sole are robust enough for those travelling light. But if you’re carrying a weighty pack a more substantial and robust boot would be a better option. 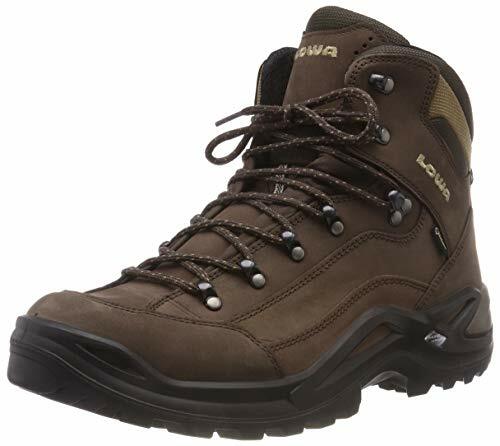 A lightweight hiking boot which is built-to-last, with features of a more technical alpine boot. 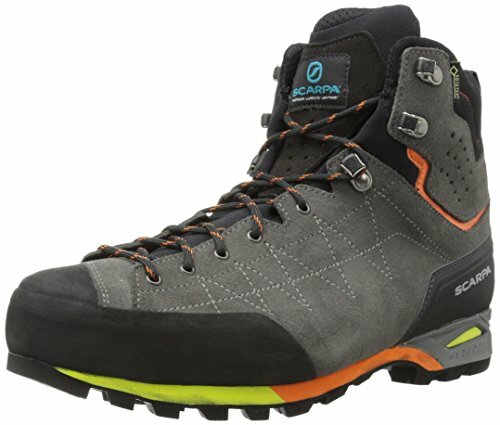 Scarpa have a long history of making high-performing mountaineering boots of exceptional quality. The R-Evolution GTX extends that quality, class and high performance into the category of lightweight and non-technical hiking… and with some style! These boots ooze outstanding craftsmanship from the second you open the box. They have the feel of a lightweight hiking boot and yet boast the built-to-last, bomb-proof construction of a more technical alpine boot. Attributes that make them one of the best rated hiking boots on the market. The stylish suede upper is tough and rugged but breathes remarkably well. Thanks to the ‘sock-fit’ Schoeller material on the tongue and around the ankle. The sole features a deep, aggressive tread and very sticky Vibram rubber. Ideal for keeping your footing on both rock and muddy, wet terrain. The only downside to this boot is its slightly narrow fit. If you aren’t too wide-footed and are looking for a very durable, comfortable and water-resistant boot. The Scarpa R-Evolution GTX is hard to beat. One of the best hiking boots out there for taking on steep terrain. The Scarpa Zodiac is a high-performing hiking boot that includes a handful of tips of the hat to more dexterous, technical mountaineering boots. It has an outstandingly sticky sole, deep tread and a stiffer toe that help you tackle any terrain with more control and confidence. While this boot may be overkill for those trekking in flat terrain, the Zodiac is one of the best hiking boots out there if you happen to be taking on steep approaches where the stability of a stiffer sole is required. The Zodiac also boasts great breathability and waterproofing. And is more durable than most of its competitors due to the rugged leather outer. On the downside, this is a pricey boot that doesn’t feature the sneaker-like feel of some other items in our review. Moreover, those leather outers will need a bit of upkeep. 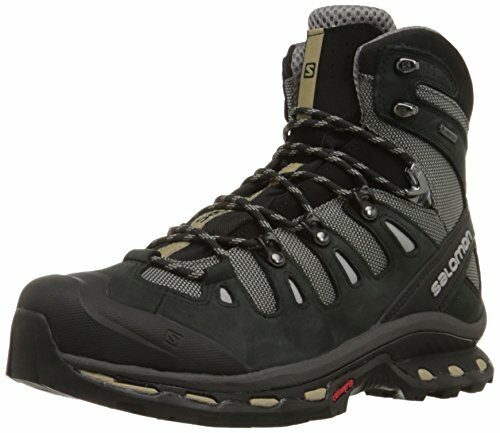 If none of these put you off, this is a solid option for hiking on steep ground and amongst the best boots for backpacking out there. A jack of all trades hiking book that does everything acceptably well. There’s a lot to love about Lowa’s ever-popular Renegade GTX Mid. This long-term favourite of thru-hikers and backpackers packs a lot of desirable features into a very affordable, lightweight boot. First up, the Renegade is very comfortable. It might not reach the slipper-like luxury levels of the Salomon Quest 4D 2, but it comes in a fraction cheaper and weighs almost half a pound less. Secondly, this is a boot that’s built to last. The nubuck leather upper and Vibram Evo outsole are both supple enough to maintain comfort but also wear down less quickly than synthetic uppers and softer outsoles. This hiking boot is a jack of all trades that does everything well without quite doing them exceptionally. It’s light, water resistant, offers good support around the ankle and performs well in the breathability stakes. Given its nubuck leather outer. For a solid boot that will serve you well for a long time, you’d be hard pressed to find a better option that’s quite so friendly on the wallet. You’d do well to find a more durable pair of lightweight boots for under $200, let alone under $100. For those on a budget, the affordable Moab 2 Vent are hard to beat. Although they might not boast the high cut ankle of other items in our review, these incredibly comfortable boots have few rivals to the title of best hiking boots under $100. So, what bang do you get for your buck? Well, the Moabs are not only cheap, but also cheerful. The construction of these boots rivals that of competitors which cost twice as much. You’d do well to find a more durable pair of lightweight boots for under $200, let alone under $100. Performance-wise, the Moab 2s also tick all the right boxes. They offer great breathability, a supportive EVA midsole, a very sticky Vibram outsole and weigh in at a mere 2lbs 2oz. The only downsides to these boots are that they take a while to dry out when wet and offer a little less support than their full-length competitors. If you’re likely to be carrying heavy loads, we’d recommend looking elsewhere. But if day hikes and moving quickly are your thing. The Moab 2 Vent could soon become your go-to gear in terms of footwear. Conclusion: What are the best men’s hiking boots for your needs? Finding the ideal hiking boot for your needs will depend on a number of variables. And whether you are apt to stay on established trails or prefer to head off-trail and onto steeper, rougher ground. As with most gear items, the selection process will inevitably lead to a degree of compromise. That said, the features and attributes on which we should refuse to compromise when buying. These remain the same as ever, and also take into account the various disparities found in the finer details. In each of the above categories, we have found the Salomon Quest 4D 2 GTX to be the outstanding choice on the market. This boot offers the perfect balance of comfort, support and all-weather performance. The materials are also durable enough to make them good value for money despite an ever so slightly lofty price tag. The boot that came closest to ousting the Quest from this year’s top spot was the Scarpa Zodiac. The Zodiac boasts every desirable feature you could look for in a hiking boot and marries Scarpa’s renowned high-quality construction with lightweight durability and performance. Ultimately, the Zodiac’s stiffer sole and narrower fit let it down. For all-terrain, all-weather versatility and a boot that is all but peerless in the comfort stakes. The Salomon Quest 4D 2 is a choice that you’re unlikely to regret.